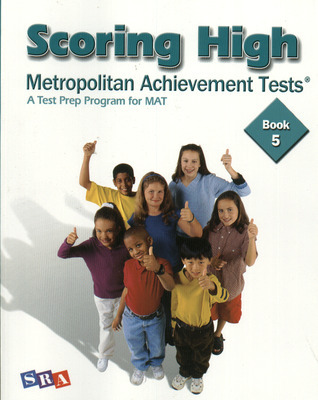 Scoring High - Metropolitan Achievement Tests (MAT8) offers more practice students need in essential reading, language arts, mathematics, and study skills. 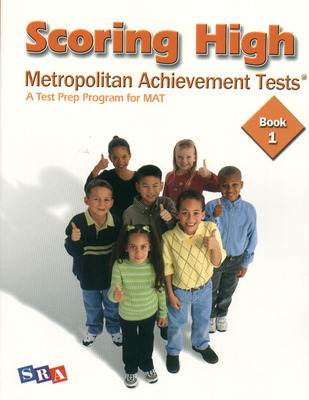 The program includes a new complete practice test, separate Student and Teacher Editions, updated questions, and helpful tips to give students the confidence they need to excel in test preparation. The series offers multiple measures, giving test-takers the best chance to show what they know. Helpful tips for students are included in every lesson. Teachers will benefit from the newly enhanced Teacher Edition that makes planning easier and includes wrap-around annotations and an expanded script. 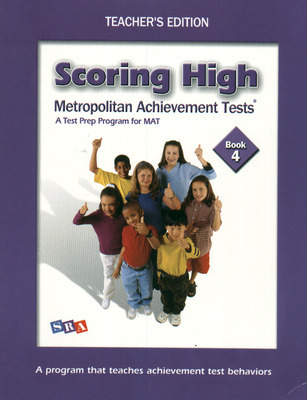 Scoring High will give students the confidence they need to excel in test preparation.